The post Bid Now! Jill Perla Tree Art Originals Auctioned to Benefit Friends appeared first on Friends of the Blue Ridge Mountains. Loudoun Times Article about upcoming Tree Planting Day – save the date – March 23rd!! The post Sleeter Lake Park tree planting set for March 23 appeared first on Friends of the Blue Ridge Mountains. White Paper Q&A TDRs The post White Paper appeared first on Friends of the Blue Ridge Mountains. Item 17 BMI – Transfer of Development Rights Program The post (item 17 BMI . . ) appeared first on Friends of the Blue Ridge Mountains. 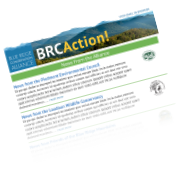 Item 18g FGOEDC-Conservation Easement Program Administration-Final The post Item 18g FGOEDC appeared first on Friends of the Blue Ridge Mountains. Click here to give for #GivingTuesday The post #GivingTuesday Donations appeared first on Friends of the Blue Ridge Mountains.